Sosua has great shopping and plentiful restaurants. Sosua Bay attracts many water sports enthusiast, including snorkelers and divers because of its sheltered, calm waters, diverse species of fish and intricate reef structures. It is located approximately 4 miles (6.4 km) east of the Puerto Plata International Airport (POP). 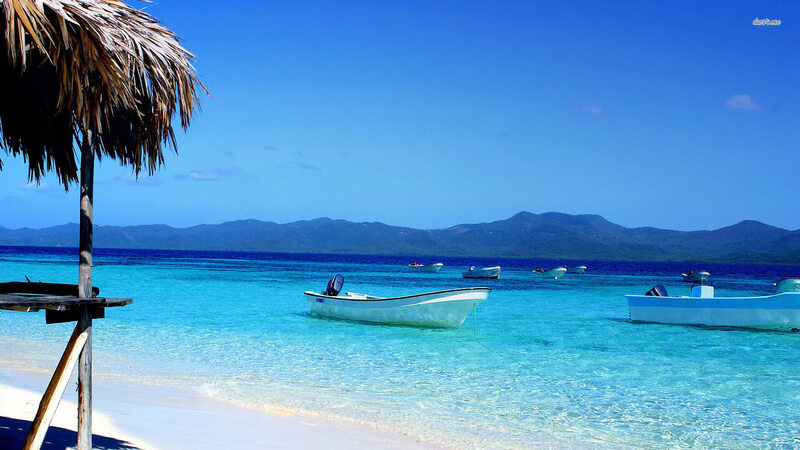 The North Coast of the Dominican Republic has been a top tourist destination for Europeans for nearly three decades. There is a very large expatriate community in Sosúa, which consists of mostly German, British, American, and Canadian expats. Recently, naturally occurring beach nourishment has created a new beach just north of Sosúa Bay, depositing sand where there were previously only sheer rock cliffs. The beach is called Playa Alicia. 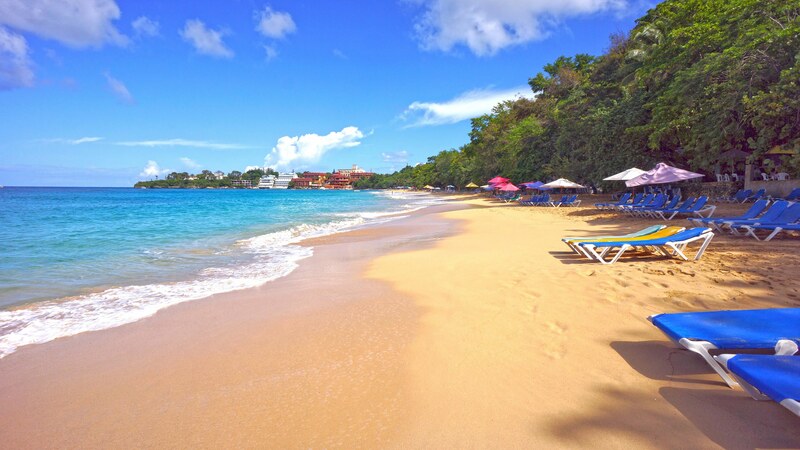 There are several other beaches, Sosua Beach, which is a crescent-shaped bay protected by coral formations and clear waters for divers and snorkelers. Sosúa’s other beaches are Waterfront (Playa Alicia), Paradise beach (actually shifts on and off every several months), Playa Imbert and Playa Chiquita. Waterfront beach is just 13 years old, created after a storm around 2002. There is also sport fishing. A very large population of expatriates share their culture and mingle with locals and foreigners. Sosua has a wide variety of properties ranging from large villa estates to beach front condos and apartments as well as some commercial options. Its proximity to the International Airport enables rapid transfer following arrival in the country. Sosua’s position, between Puerto Plata and Cabarete, makes it an ideal location for exploring the whole of the North Coast of the Dominican Republic and is therefore an interesting investment opportunity as well as a retirement or holiday home option. The construction of a new cruise port at Maimon, just outside Puerto Plata, is likely to have a beneficial impact on the area in general and encourage further investment and a corresponding increase in property values in the area. 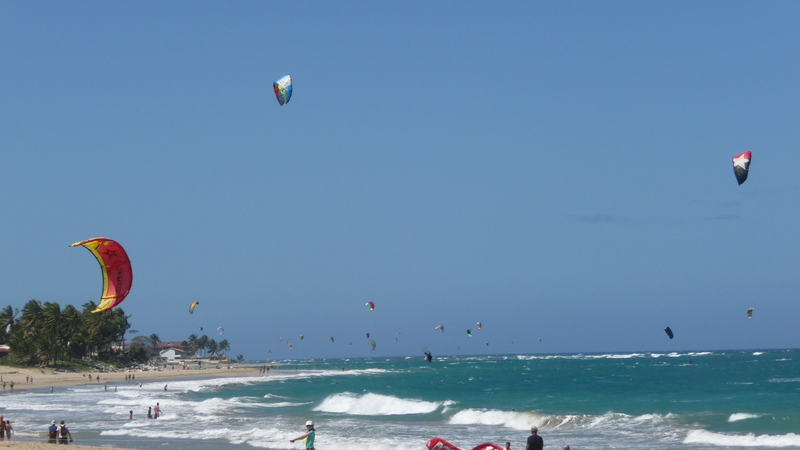 Cabarete is known as the wind surfing and kite boarding capital of the Caribbean. It is one of the world’s top five windsurfing and kite boarding destinations. World Champion ocean events are held here several times during the year. Prior to its discovery as a mecca for water sports enthusiasts, Cabarete had been known for the Barrier Coral Reef which created Cabarete Bay. This coral reef protects the crescent shaped beach from the force of the Atlantic Ocean waves. Cabarete Bay can either be a place to relax on the beach and get a tan, or an ideal location for ocean action-sports and adventure. As an additional perk: the eastern part of the bay has multiple restaurants directly on the beach that offer all kinds of international dining. There are also luxury condominiums along the beach in Cabarete Bay that have front row views of hundreds of kites of all colors. These condominium communities also have lush gardens and private beach-front infinity swimming pools that offer luxurious settings in this Caribbean paradise. With the warm sun shining down through clear blue skies practically every day of the year, it is most people’s dream of a perfect tropical Caribbean vacation rental destination. These communities also offer a luxurious lifestyles for full-time residents. Cabrera is a smaller, oceanfront, rural community perched on soaring sea cliffs hugging the northern coast of the Dominican Republic. It is located between Rio San Juan and Nagua in the province of Maria Trinidad Sanchez. Although not traditionally considered a popular tourist destination, Cabrera nevertheless boasts many of the most magnificent luxury vacation villas and sweeping ocean vistas in the Dominican Republic. Once you arrive in Cabrera, you immediately sense the serenity, charm and laid-back atmosphere combined with the exceptionally friendly locals happy to welcome you to their community and the unique topography of the area; it’s this exclusive combination that makes Cabrera truly unique. The city proper of Cabrera generally has about 6,000 people while the entire municipality boasts 25,000 at last census. And woven seamlessly within are growing ex-pat residential communities from Canada, France, United States, Western Europe, and South Korea, all combining to make a warm, friendly, unspoiled community. You will not find any all-inclusive resorts in Cabrera or beaches overcrowded with tourists. Cabrera’s charming and pristine character has been sustained through strong community relations between the locals and ex-pats, all of who call this place ‘home’ and are very proud to do so. Foreign investment in Cabrera comes not from the tourists but mostly from those ex-pats who are living within the community itself as residents. The majority of income generated in Cabrera comes from local agricultural efforts while the ex-pat and tourist businesses contribute significantly as well. Indeed, one of the largest consistent contributors to local income are the luxury vacation villas scattered throughout the area with a heavier concentration in the gated, beachfront community of Orchid Bay Estates. 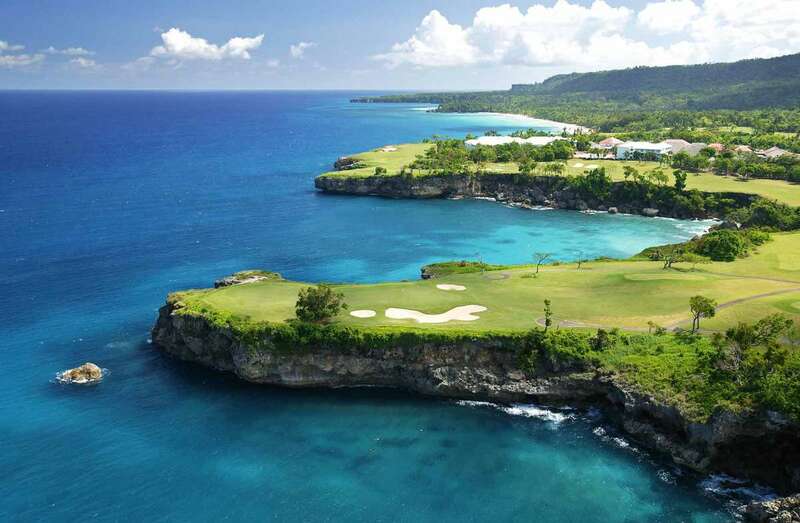 PLAYA GRANDE CLUB & RESERVE – is touted as the “Pebble Beach of the Caribbean”. The magnificent golf club overlooks the most exotic beach on the north coast — Playa Grande. The first phase of the Playa Grande re-development is the Aman Golf Resort which includes the renovation of the legendary Robert Trent Jones Sr. golf course. The development will also include a new 30-suite Aman Resort hotel, a beach club, and a new Aman golf clubhouse. In addition, there will be a limited number of golf, beach, and cliff-side Aman villas constructed… all with spectacular ocean views. AIRPORTS – Playa Grande is situated between two International Airports. Puerto Plata International Airport (POP) is approximately 1 hour and 15 minutes west, and Samana / El Catey International Airport (AZS) is approximately 45 minutes east. Las Terrenas is a town on the north coast of the Samana Peninsula. It is known for its stretches of beautiful beaches and great restaurants. The airport serving this area is the El Catey – Samana International Airport which has direct flights from Canada, Europe, and the United States. The drive from the airport is only 20-minutes on a spectacular new road through mountain passes that lead direct to Las Terrenas. In fact, the whole Samana Peninsula infrastructure is brand new. The new aqueduct in Las Terrenas is now ready and working and a new fibre optic system for internet/tv/telephone is being installed. At this time, all the roads up to Las Galeras, which is on the eastern tip of the Samana Peninsula, are now asphalted. In the 2012 census, the town of Las Terrenas had a population of 10,865. Go slowly and you’ll see spectacular views of Samaná Bay and Parque Los Haitises on the south, and the Atlantic coast on the north. Along the way you’ll see brightly painted Dominican homes, as well as the unique farming and vegetation of the area, including 60 varieties of palms. Upon arriving in Las Terrenas, you’ll be awed with the calmness of the area and the beautiful white sand beaches lined with tall palms and pastel-colored wooden fishing boats. The next thing you may notice is its Mediterranean-influenced atmosphere. There are plenty of cafés and oceanfront restaurants where people can be found sipping wine, over long, leisurely lunches, or having a mid-day break over a café latte. Shops offer a variety of arts and crafts, many of them unique handmade items that can be difficult to find elsewhere in the Dominican Republic. You can enjoy water-sports like snorkeling, diving, windsurfing and kite-boarding. The 4-wheel drive and horseback riding trips are also popular because they allow you to see otherwise non-accessible areas of beauty. The drive from Santo Domingo, the capital of the Dominican Republic is only 2 hours. Samana – The Samana Peninsula on the northeastern part of the Dominican Republic is surrounded by the Atlantic Ocean to the north and the Samana Bay. 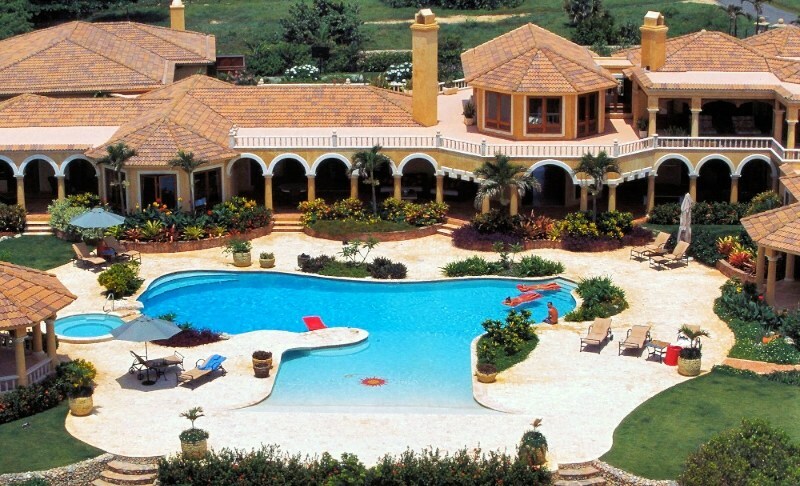 It is a great place to retire in the Dominican Republic. There is perfect weather all year long ( 20° to 30° Celsius) or (68° to 88° Fahrenheit). 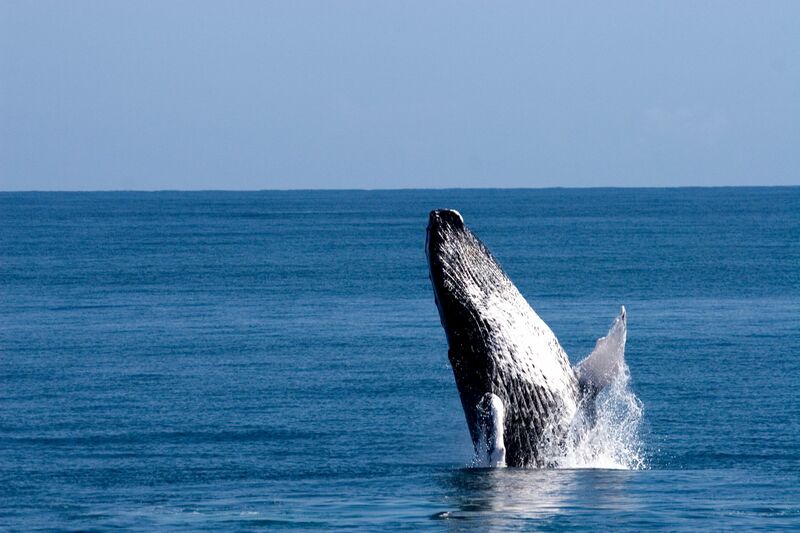 From January to March each year, the large peaceful Humpback Whales come by thousands to visit the immense bay of Samana and offer a natural spectacle of true wonders. Surrounding the town of Samana are lush tropical mountain hills, nearby waterfalls, caves with petroglyphs. The town is on the south side (or bay side) of the peninsula. Samana is a beautiful and peaceful port with approximately 15,000 easy-going people. These friendly Dominicans live their lives with tourism, agriculture and fishing activities…all set to the beat and rhythms of Merengue, Bachata and Salsa music. The town of Samana is also a favorite drop off point for cruise liners. Samana is graced by a scenic 2 kilometers Malecon (seaside walking promenade ) for strolling by the gorgeous Bay Marina that is filled with sailboats and fishing boats. 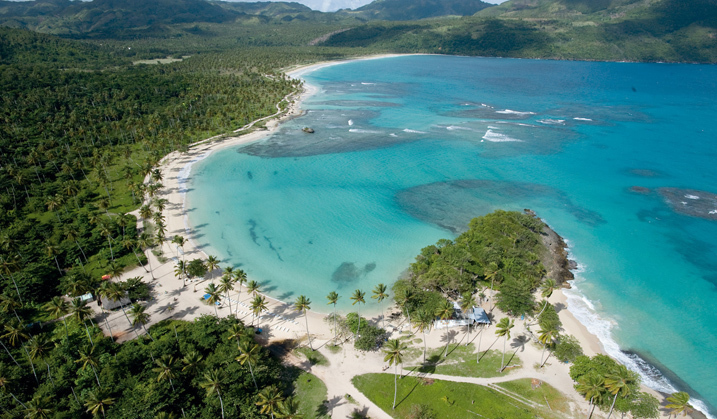 In November of 2009, the Bay of Samana was recognized as “One of the Most Beautiful Bays in the World”.